Today is a BIG day on the blog. OH MY GOODNESS YOU GUYS!!!!!!!!!!!!!!!! Can you believe it? I’m still in shock. God is SO good. To celebrate this amazing, incredible, miraculous, FANTASTIC news, I am giving away $100 to a lucky reader who shares their love story with me! So now it’s your turn! 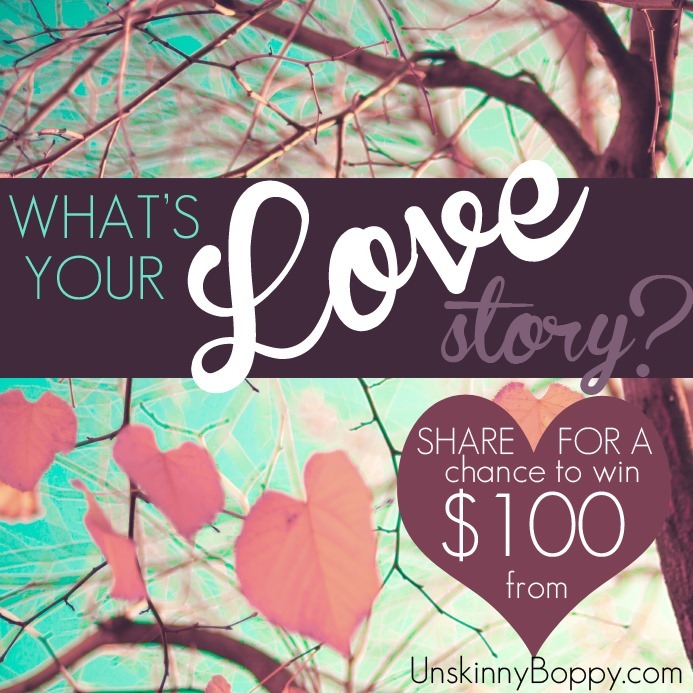 Share your love story for a chance to win! It doesn’t have to be a typical love story- it can be anything that has happened in your life as a result of love. 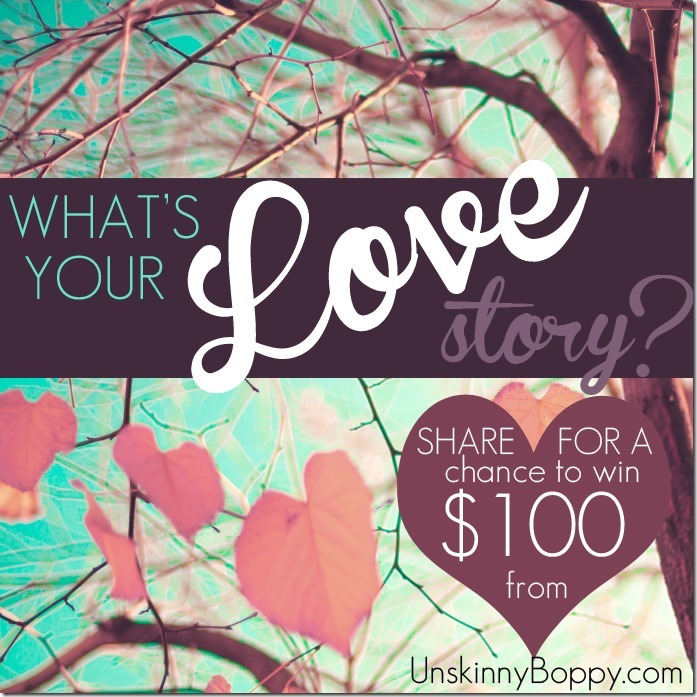 Just tell us your story in the comments, or link up a blog post with your story. BONUS ENTRIES: If you create your own story using the Adobe Voice iPad app you’ll get LOTS of extra entries in the drawing. Just download the app, tell us your story and link it up in the comments. For tips on how to create a Voice video, visit the Adobe Voice Blog where you can see how to customize the theme of your Voice video using Themelab, or change your fonts. The winner of the giveaway will receive $100 via Paypal so you can spend however you’d like- dinner and a movie, or a splurge for yourself or someone else. One winner will be picked at random and announced on Tuesday, February 10th, just in time for Valentine’s Day!! There is so much goodness happening here! Much love goes out to you ALL from me! Disclaimer: This post was sponsored by Adobe Voice. As an Ambassador for Adobe Voice I have been compensated for my time commitment to the program as well as writing about my experience. As with every sponsored post on this blog, my opinions are entirely my own and I have not been paid to publish positive comments. Wow, congratulations! You guys are so blessed and 2015 looks to be an amazing year! Yayyy!!!! Congratulations sweet friend, I am so happy for all of you1!!! Sooooooooo happy for you Beth. Seriously God is so faithful! So excited for you Beth! My love story was a chance meeting of my husband 11 years ago-we ran into each other twice in Charleston SC during his brief one week visit from Italy where he was stationed in the Army. We kept in touch with letters and emails and 2 months later I went to visit him in Italy and never came back! oh my goodness!!!!!!!!!!! i am SOOOO happy for you!!! i don’t really have a great love story, but i will give you a sweet story from when i first fell in love with my husband. background- he is shorter than me by a couple inches- that is important to know. I KNEW IT!!!!!! What an amazing God we have! 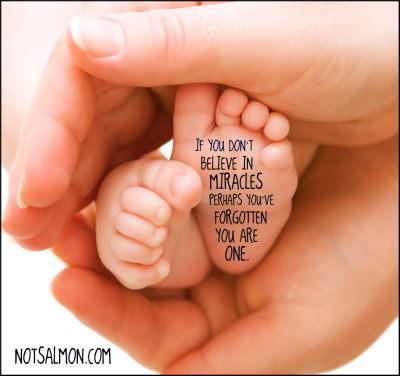 I believe in miracles for you and your family. Congrats precious friend!! Love you!! God is soooo good and ALWAYS faithful! Congrats on your newest blessing! WOW, tears are running down my cheeks…..God is good no doubt!! finally pregnant with their first one. Took them 5 yrs. so miracles do happen. Your story sound very similar to theirs. Oh I am soooo thrilled for you all. Congratulations!! So happy for you and your family!! The warmest of congratulations to you and your beautiful family. So very, very happy for you!!! How is it that I’ve known this for a bit now, but still cry every time?! Life change lotto, my friend, but it wasn’t luck because you worked hard to find this path and to open your heart to big changes. You have never failed to impress me with your bravery. Congratulations!! I am so happy for you!!!!! Congratulations! I so wanted to see your video but could not get it to open. God Bless you and your family in this wonderful new chapter in your lives ! Your good news story and miracle are very similar to my youngest daughter’s. This brought tears to my eyes. Congratulations! As for our love story…J and I found each other, when we were nearly 40 years old. We met through one of his high school friends. At some point in time, we were dancing, the music stopped but we continued dancing. It was magic…at that moment we knew. That was in the Fall of 1982. We’re still dancing. Our hearts had been broken and together they are mended. For us, as that old song says, love is lovelier the second time around. WOW! I wasn’t expecting that kind of announcement!! Congratulations! So happy for you, Friend! Congratulations! Your video was beautiful, inspiring, and filled with love. I’m so glad you shared this news via video. The impact of sharing your faith and your joy was contagious. After I watched the video, I said a prayer of thanks to God for the way He has worked in your life and the way He led you to share your news and your testimony. You and God couldn’t have done it any better. Again, congratulations. Oh my gosh, I knew it, my heart told me this. I gotta go boil some water. There’s a baby on the way!. Nothing makes me happier then seeing good things happen to good people …… and babies….yeah that’s me deal more babies! Oh Beth! This is wonderful! What a blessing! And anything else I can say with exclamation points!!!!!!!! Oh my goodness – such happiness!!! Congratulations to you and your family! Children are a blessing from the Lord! Just had to pop in for a quick second to let you know how happy I am for you! I can tell from this blog what a special special person you are and I love it when good things happen to people that…..deserve it. Exciting journey that we are all looking forward to sharing with you in 2015. Beth…CONGRATS to your family! That brought me to tears. What a perfect reminder to let God have the control and amazing things are in store. Thank you for sharing. Oh Sweet Beth! What a beautiful surprise for your wonderful family! Congratulations and enjoy every second of this journey! Wonderful story of letting, go letting God! Congratulations! Much congratulations on what sounds like a much smoother transition experience than before! Sounds like congratulations are in order. Unfortunately after a dozen or more attempts the video won’t load. Maybe you could post a transcription when the dust settles. I wasn’t able to listen to the adobe voice even when clicked on your “Click here if video doesn’t load.” I did read your blog post yesterday. GOD IS GOOD!! It’s amazing when we let go and turn control of lives to Him how things can get so much better! Congratulations! What a beautiful story of God’s goodness! amazing news!! congratulations to you and your family. god is good! thanks for sharing this beautiful story. I’ve never commented before, but this was such wonderful news, I had to! I am so happy for you and your family. God is so good! I don’t have a love story quite like that, but I decided to move half way across the country and so many good things have come into my life since making that change. Oh my!! This is great! I’m a lurker most days, but you have made me cry this morning with this news. Congratulations, honey!! Oh my gosh Beth! I do not know you personally but I am tearing up at your wonderful news! Congrats! Here is to a most wonderful year. i don’t want to win the $100 but i do want to wish you the very best on your 2015 life path! it was very touching listening to your video and it brought tears to my eyes. you and your family and that new baby are very blessed. cannot wait to read more about your adventures. CONGRATULATIONS BETH !! You hit the nail on the head about letting go of control. When we take that leap of faith away from the life of anxiety, space is opened for miracles to come in. The leap is sometimes big, but often just a change in perspective, a breath, a glance, a sound. Here’s to your future!! This is just so wonderful Beth! It brought tears to my eyes! My love story began 22 years ago on Father’s Day. My grandfather, who I loved deeply and never went a day without seeing him was taken off the ventilator and passed away. I called my best friend and asked if she could come pick me up from the hospital but she hesitated because she had company. I asked if she would just bring them along and us go out to eat somewhere. I needed to get my mind off what had just happened. It was at this moment I believe my grandfather led my soon to be husband to me. Tim was there along with some other friends and that’s when we first met. The day my grandfather died, I met Tim. We married 2 years later and will be married 20 years this year. I truly believe my grandfather was looking out for me. Tim is such a wonderful husband and we are just as happy as we were 20 years ago when we married. Awwwww, Congratulations! What an amazing bit of news! I wish you and your family all the best in this already fantastic 2015!!!! This is my love story of God’s love for me. I too experienced infertility. We tried the treatment until I just could go no further emotionally. I had God’s promise “that he make th the barren woman to be at home and to be a joyful mother of children”. Still no children ever came until………..I was 48. (That is not a typo). Through a set of circumstances the door was opened for us to adopt. We requested preschool children however, we were given an infant boy. We named him Matthew (God’s gift) one year later the phone rang again. Another boy 3 days old and would we like him? We named him Samuel (asked of God) The age requirement in our state is age 50 for a newborn. I came in just under the wire. We are blessed with two healthy boys! 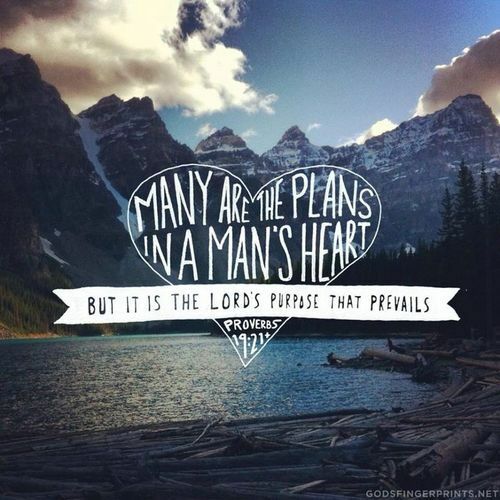 God knows our frame and his timing is perfect. We are two very active parents and enjoy God’s gifts to us.